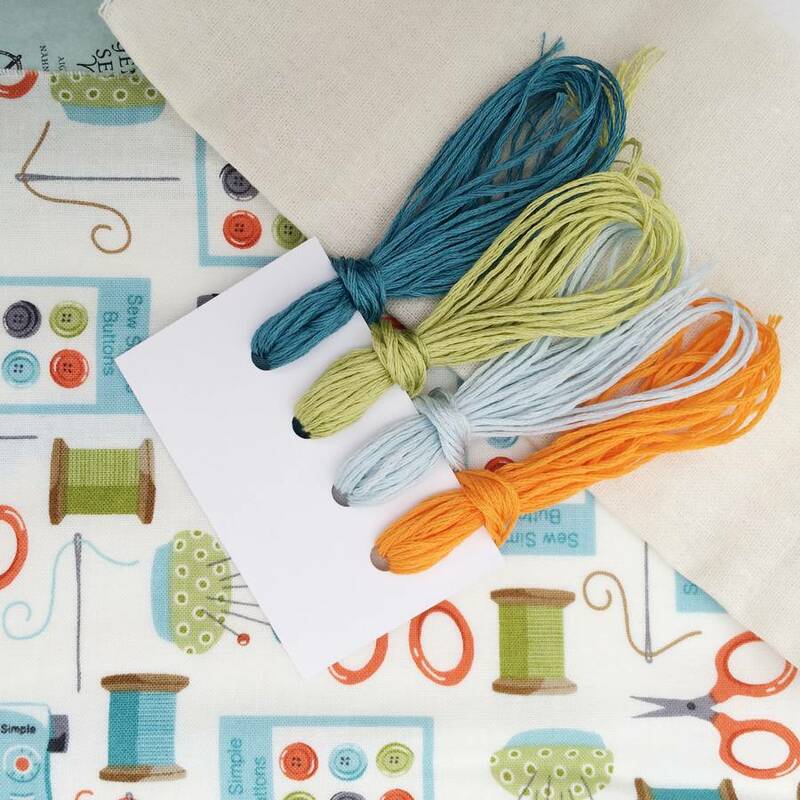 This is a fun Crafty inspiration gift for creative people. 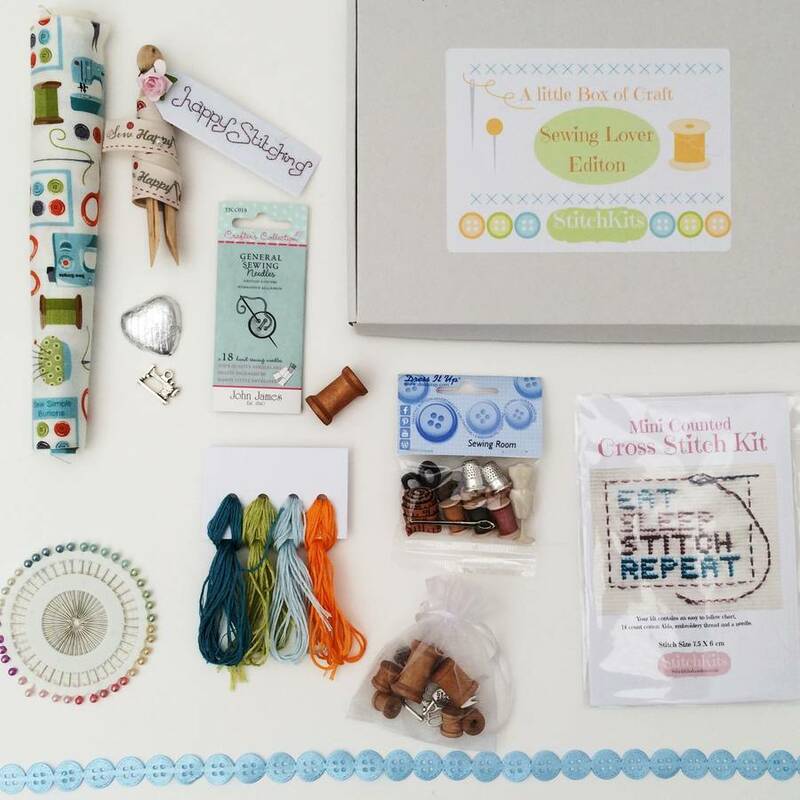 This ‘Stitch Lover’ edition of our craft box range is stuffed full of lovely Stitching inspired craft supplies. 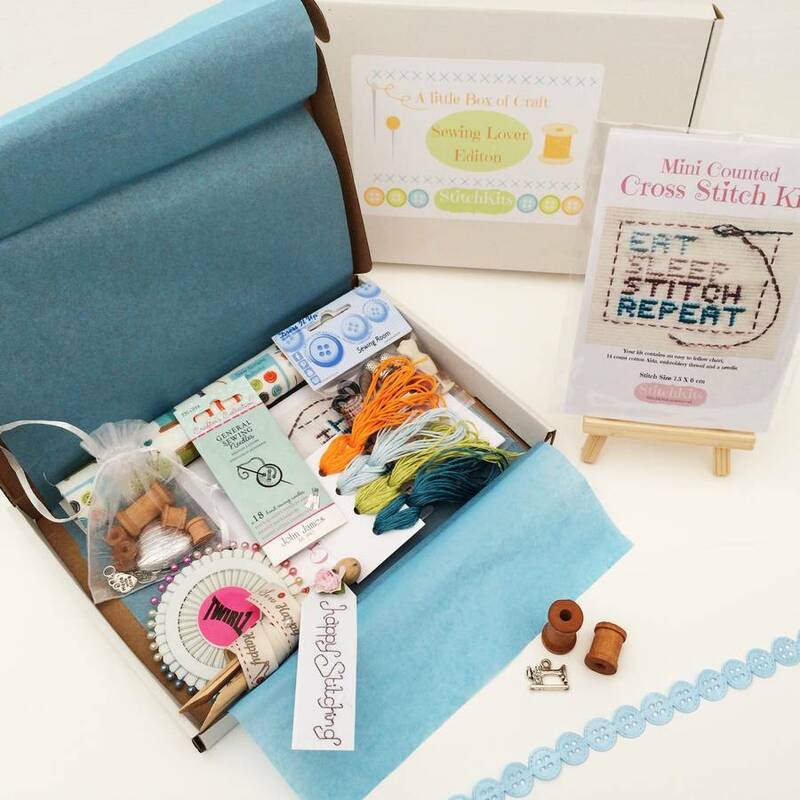 This mini stash will bring a smile to the face of any craft lover and will get those creative ideas flowing. 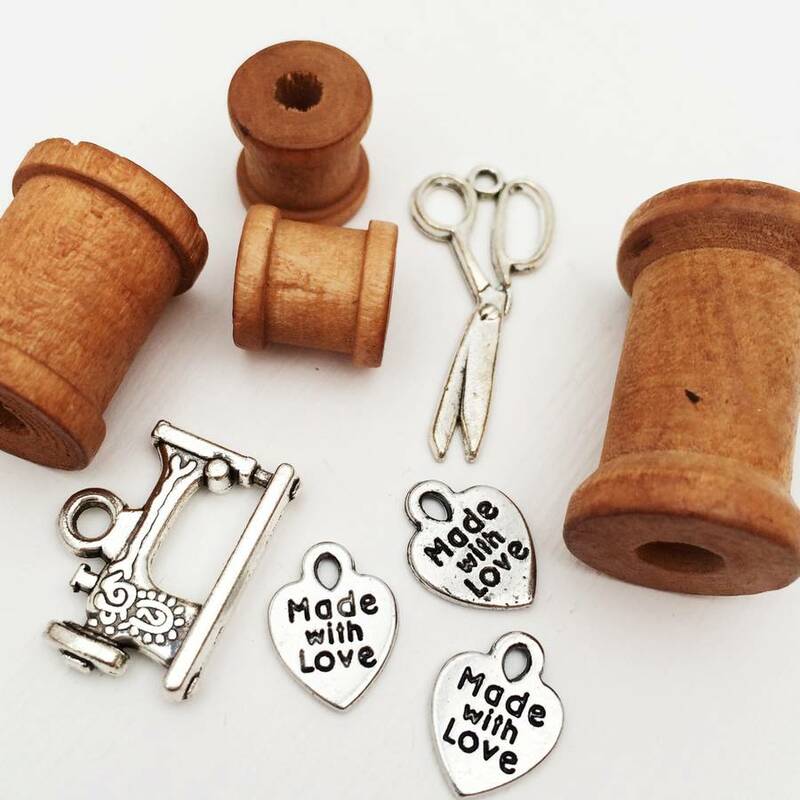 The hand selected items in the box make perfect gift for both beginners and pros alike. 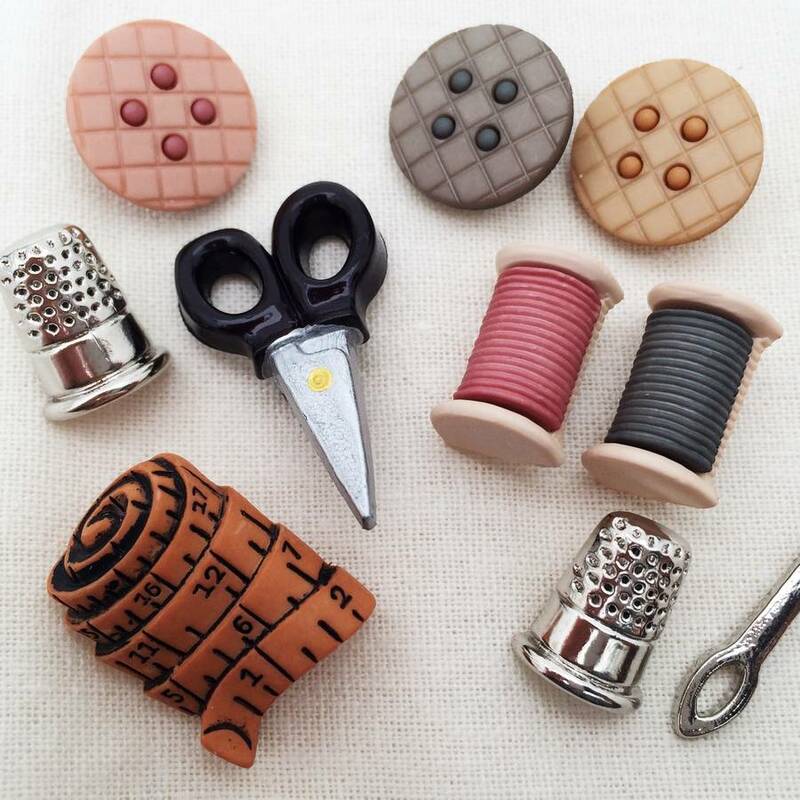 They will be able to learn a new craft and be inspired to pick up a familiar one. This fabulous box contains: A mini ‘Eat. Sleep. Stitch. 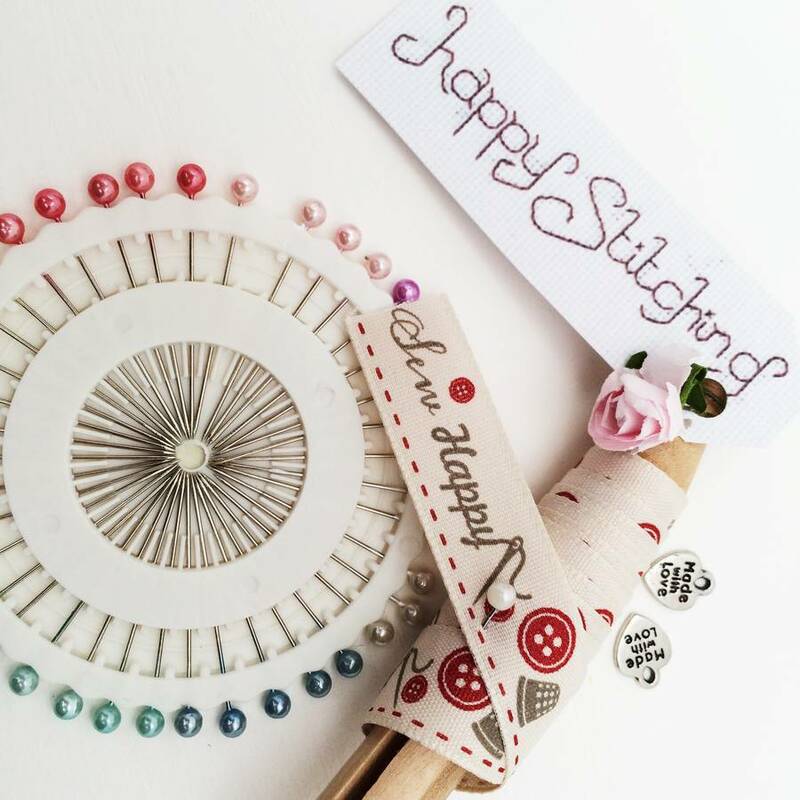 Repeat’ Cross Stitch Kit, ‘Sew Happy’ ribbon, Embroidery Thread and Fabric, novelty ‘Sewing Room’ buttons , a set of needles, a length of blue satin button trim and other sewing room inspired loveliness. 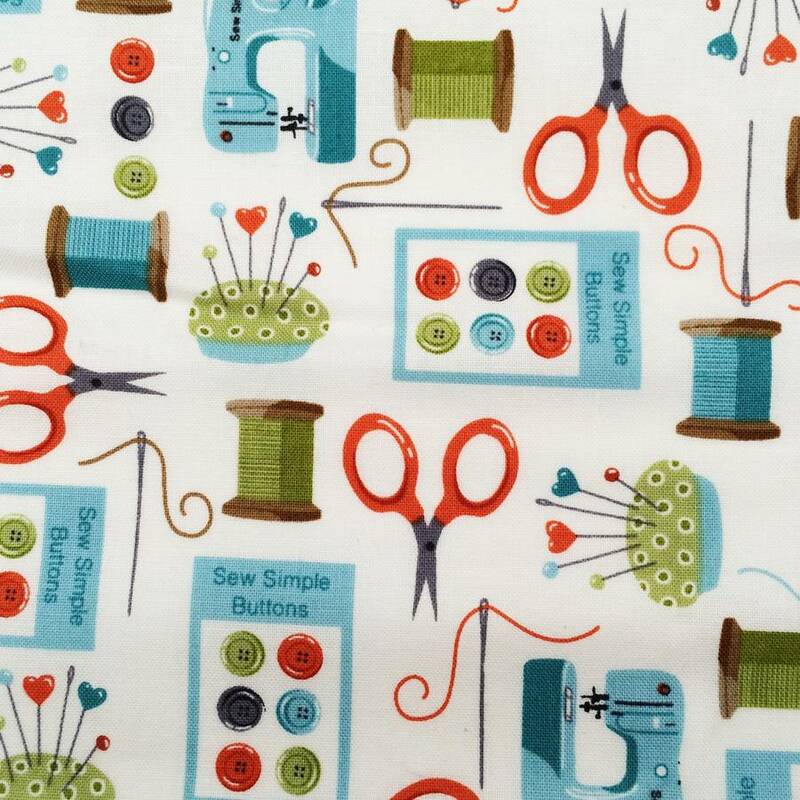 This product is dispatched to you by StitchKits.